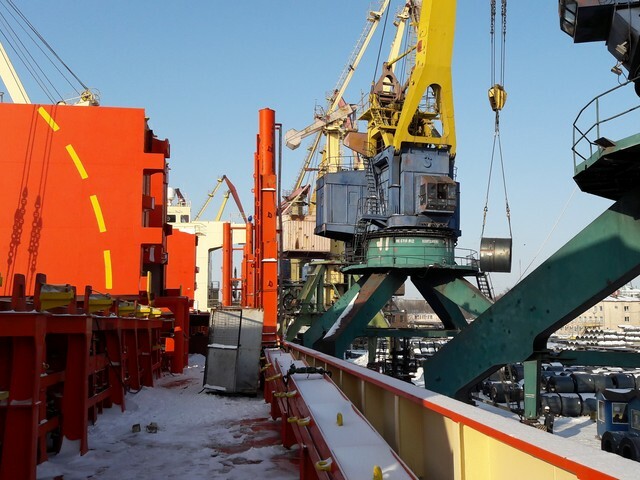 CIS Ukraine known as Comprehensive Integrated Services Ukraine offers you a wide range of technical and consulting services, as well as quality and quantity inspections. 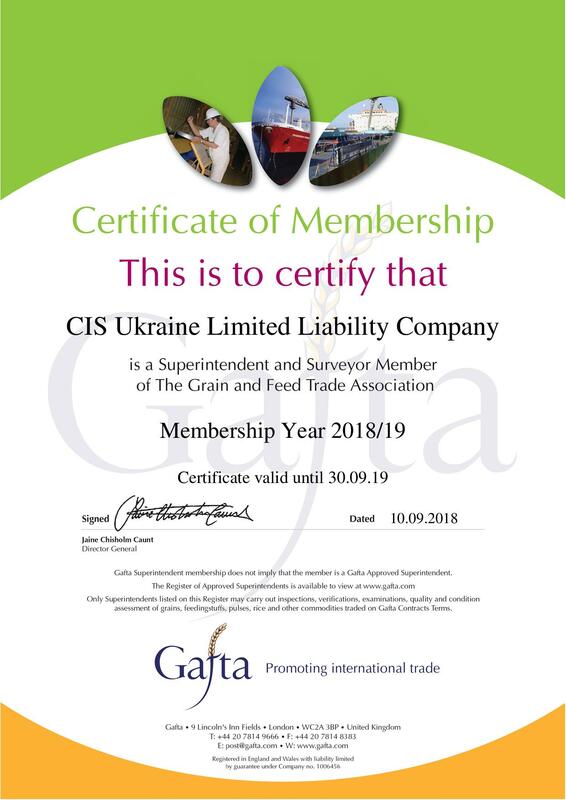 Services provided by the CIS Ukraine are aimed at elimination of risk for the clients, whether they are importers or exporters, buyers, manufacturers or traders. Our certificates and reports are internationally recognized. The representatives and staff of the CIS Ukraine maintain quality standards and operate with total integrity at all times, being assisted by modern laboratory facilities and are trained in the latest means of control. Comprehensive Integrated Services Ukraine ensures that all clients benefit from the professional and timed completion of each assignment. Our company provides a number of services in several directions: surveyor maintenance of vessels (ships, barges, etc. ); damage surveyor services; cargo surveyor services; super cargo and more. The staff of the CIS Ukraine often deals with determining the technical conditions of the vessels and the bunker amount, checking cargo spaces and containers loading suitability, cargo absence in storages and tanks after unloading; establishing the fact, the nature and the size of the lesions, or their absence whatsoever. We also perform pre-inspection of goods and observation of the loading and unloading processes as well as provide Tally services and control of cargo stowage and securing. Surveyor maintenance of containers and packaging is provided to those in need of super cargo services. You can utilize our expertise in accidents and emergency cases for doing the paperwork and filing claims. 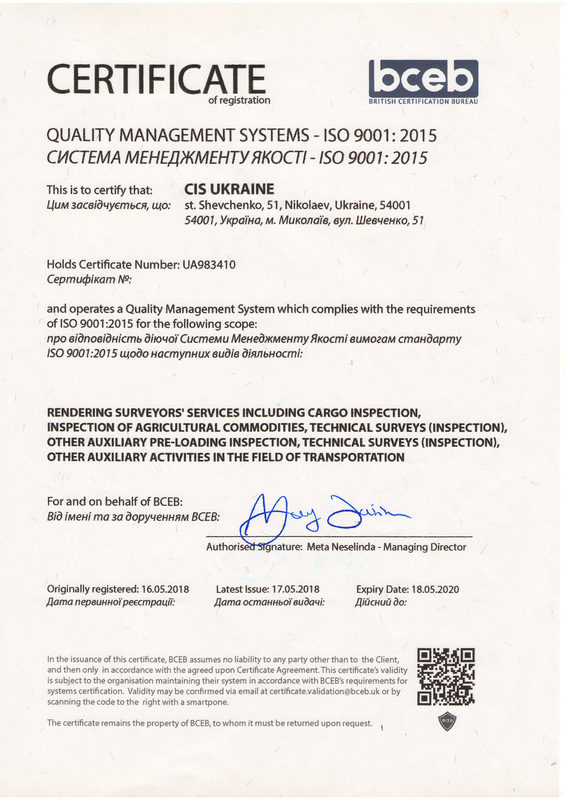 CIS Ukraine – Comprehensive Integrated Services Ukraine are GAFTA approved Surveyors and ISO 9001 certified. CIS Ukraine known as Comprehensive Integrated Services Ukraine is GAFTA and ISO 9001 certified. The Gafta Trade Assurance Scheme (GTAS) is issued to the companies trading in international grain and feed fields. Adhearing to the GTAS standards with independent audit companies ensures that your business is up to date whenever feed and food hygiene requirements are concerned. The ISO 9000 family adheres to different aspects of quality management and ensures some of ISO’s highest standards are put into life. These standards come packed with guidance and instruments for the companies who wish to ensure their services meet the requirements of their clientele, and that quality is improved on a regular basis.